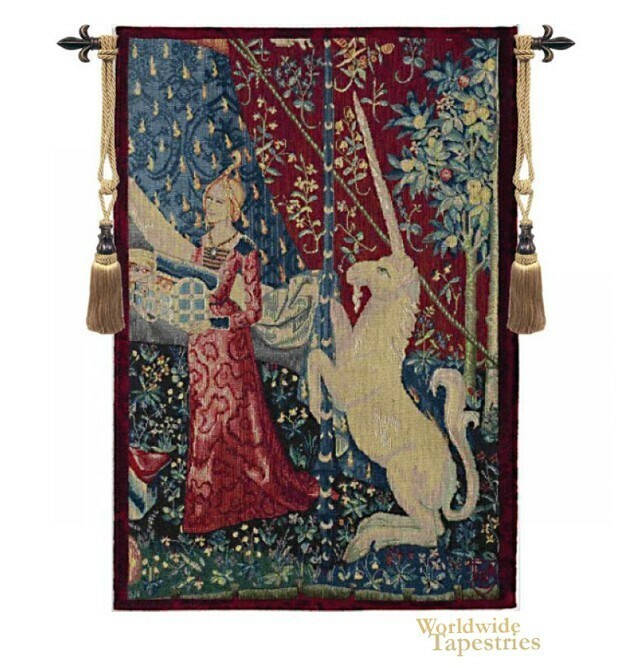 The "A Mon Seul Desir - Right Panel" tapestry originated from the medieval period and in this scene, we see the hand maiden of the Lady holding the chest from which she is placing her necklace. The unicorn is closeby accompanying the maiden. This tapestry showing the detail of the hand maiden from A Mon Seul Desir is backed with lining and tunnel for easy hanging. Note: tapestry rod and tassels, where pictured, are purchased separately.